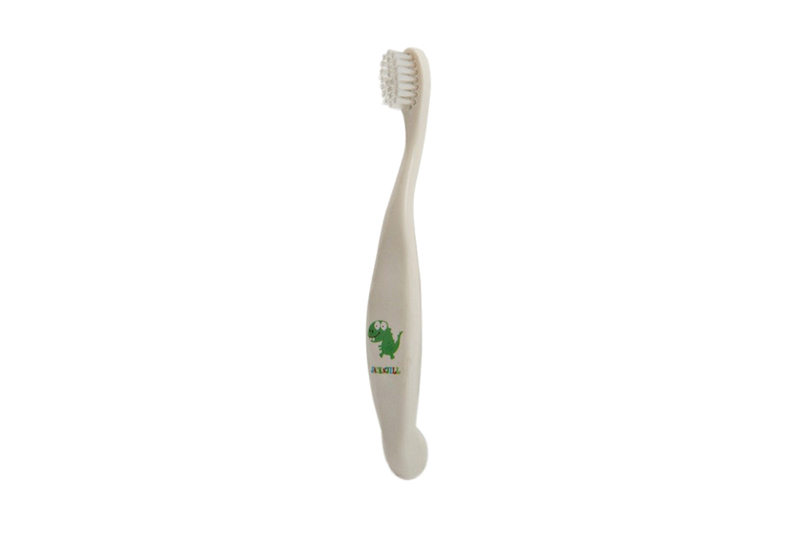 The Jack N’ Jill Dino Toothbrush has a compostable and biodegradable handle, made from 100% non-GMO cornstarch. The soft, rounded nylon bristles provide superior cleaning. 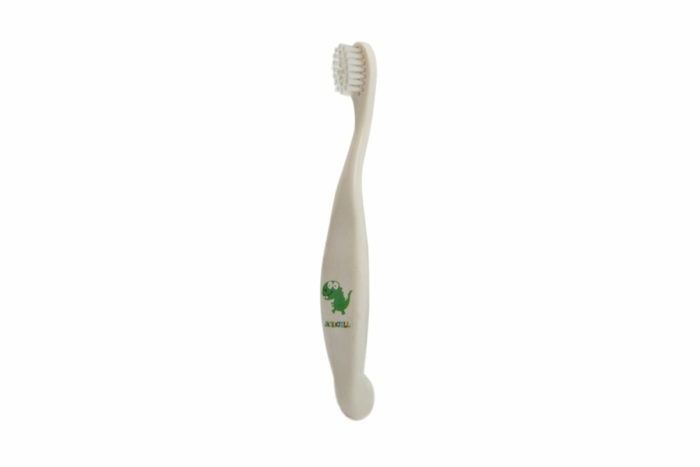 This wonderful toothbrush handle is ergonomically shaped to make it easy for children to clean their teeth. It is recommended by Dentists to replace your toothbrush every 8 weeks or soon if there has been an illness. We recommend to replace your toothbrush every 8 weeks or soon if there has been an illness. The Jack N’ Jill Bio Brush cannot be sterilised in boiling water or microwave. Store upright in Jack N’ Jill Biodegradable Bathroom cup to allow bristles to air-dry. Plaque, as well as the interior of the mouth, contains many micro-organisms. Inevitably, these micro-organisms become trapped between the bristles of your toothbrush. Because your toothbrush is often in a moist environment, bacterial growth can flourish. That’s why it’s imperative to keep your toothbrush clean and to sterilize it regularly. We recommend replacing toothbrushes every 8 weeks and after an illness. Rinse bristles under the tap. Hydrogen Peroxide 3% has mild and safe antimicrobial properties. It quickly breaks down to water & oxygen. It can also work as a bleach, so care must be taken when handling. As with any product of this nature, open with care and make sure cap is pointing away from the body. Hydrogen Peroxide is not to be ingested.